Our Decorating Contest Is In The Bedford #Sackville Community Herald! | Sack-Vegas!!!! 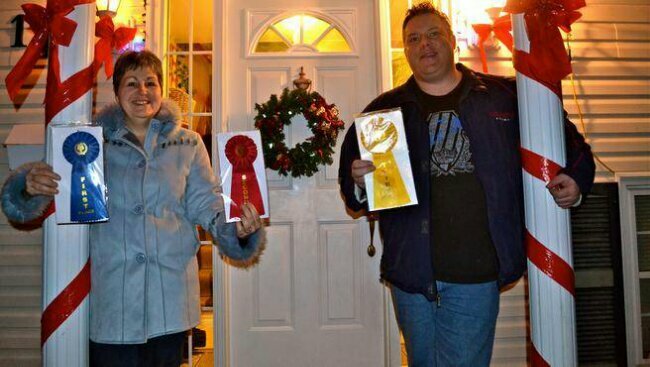 Our Decorating Contest Is In The Bedford #Sackville Community Herald! Very cool! Check out the above link to get the contest details and read about why Charlene (SCDA) and I have teamed up. Now, to get a few hard copies of the paper and give one to my Mom even though I look like a complete doorknob in the picture. Ghaaaa! Posted by Sacky on December 4, 2013 in Community Events.